Kimberley Law is an experienced psychologist, and was interested in attracting new clients. Her existing website was, well, not helping matters. She approached me about creating a new one. We got clear on who her target market was, and what services she was offering to them; designed a new logo, and website, and business cards. 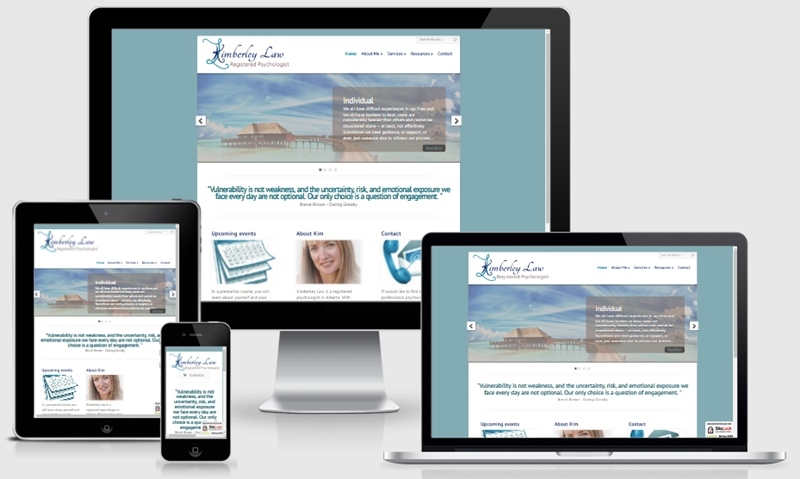 Within a few weeks she started getting calls from prospective clients who had seen her website. I’m not technically savvy, so years ago when I realized I needed to have a website, I paid someone to do it for me. Although it looked respectable enough, in the end it really didn’t fit me – too much direct marketing, among other things. When I finally decided to scrap it and create a whole new website, Michele actually listened to what I had to say, was patient with both my inexperience and my numerous changes.. The end result is that I finally have a website that I really like. And it works! New clients are finding their way to me through my lovely new website – Thanks Michele!